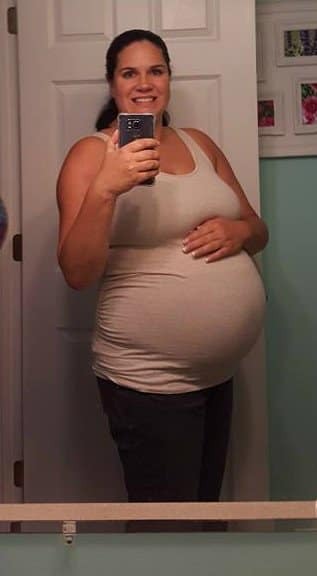 I’ve been trying to have another baby for three years. And I’ve been collecting newborn diapers the entire time. They sat in a drawer collecting a layer of dust until just a few days ago. It was actually hard for me to take all those pretties that had sat and waited so long and finally prep them. I figured that a cloth diaper lady such as myself really needed to get moving on this. I didn’t want to be sharing tons of pics of my newborn in disposable diapers, right? I had enough to prep them as their own load (it’s about 20 or so cloth diapers). I washed them 4 times in HOT water (no detergent) and machine dried. They won’t be at full absorbency yet. I’ll adjust accordingly (change more often if necessary) until they are. That is usually 6-8 washes. You can also prep a small number of diapers with your regular laundry to make a full load. Just don’t use fabric softeners. You can check out my post on prepping cloth diapers for all the info. Everything is now packed up in my hospital bag (along with two Monkey Foot Designs webags, my favorite wet bag because they never leak or smell). The cloth diapers are ready and so am I. Keep following All About Cloth Diapers as I have posts in the works that include a comprehensive list of newborn cloth diaper rentals, absorbency tests on newborn diapers, reviews with lots of photos, as well as why I think it is worth investing in newborn cloth if you can. 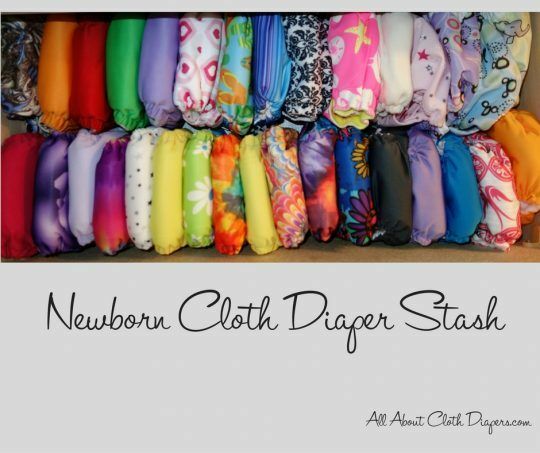 What brands of newborn cloth would you like to see me review! I’ll do my best to get them! You look amazing! Congratulations on your precious bundle of joy. I’m very interested to hear about how each of the newborn cloth diapers work out for you. I always had trouble with the few newborn cloth diapers I had. Wishing you a fast and easy delivery with a a healthy little one and a happy Mama afterwards! You look great and I can’t wait to read your review on newborn cloth. I’d love to CD my next one from birth! Excited to s e your recommendations. Best Wishes!! !